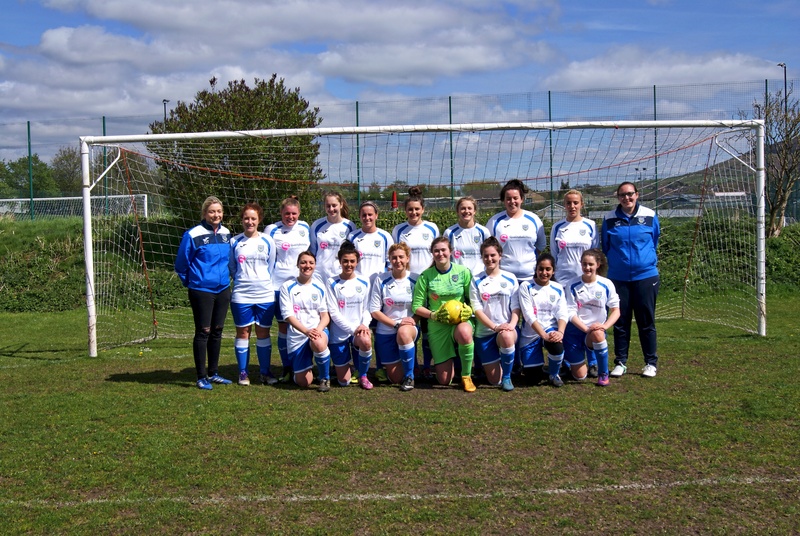 Skipton Town Ladies’ won their first home match of the season under new coach Mannann Mehmood, comfortably beating Ossett Ladies Development 5-0. In superb late summer weather conditions the match was effectively over as a contest midway through the first half when Skipton were already 2-0 up and playing fluent football. They had particular success down the left wing through the outstanding Annie Riley and Jade Newton causing constant problems for the Ossett defence with quality supply to their strong running centre forward Shelby Lawson. On the few occasions when Ossett threatened they were well marshalled by the Skipton defence with tough tackling Hatty Midgley and her central partner Beth Hindle snuffing out any danger, ably supported by full backs Alex Heyworth and Louise Forster. 0-4 down at half time Ossett changed formation to try and contain the score line, and as Skipton began to tire on a hot afternoon the home side added only 1 further goal through a superb long range strike from Amy Maclean. Maclean had already scored in the first half together with 2 from Jade Newton and 1 from Annie Riley. So, after a disappointing defeat in their opening match of the season last week, this was a very promising performance from a side which has been constantly improving for the last 3 years. Skipton Town Ladies FC would like to thanks the match ball sponsors J B Springs for their support.